amazing! You can do great things in micro. 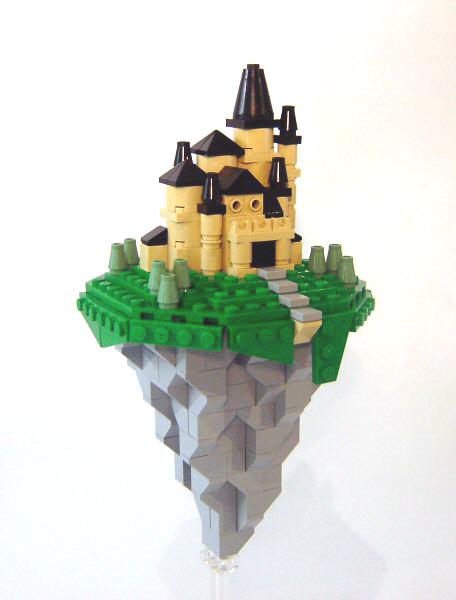 Seems like LEGO was built for micro in your creation. 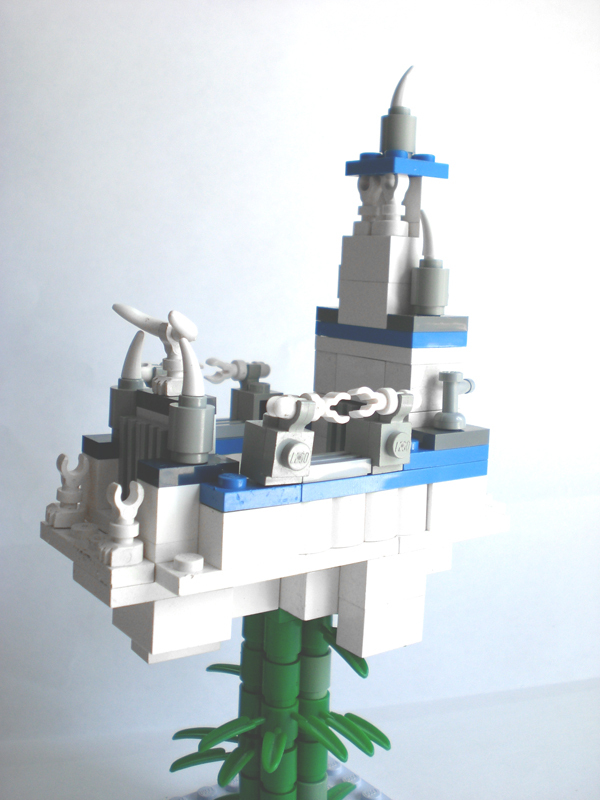 I especially like the little details like the textured walls on the tower and at the bottom of the house, the sailboat, and the pieces you used for the dock. plus your rock landscaping is something to be proud of (which is more than i can say). this is an 11th hour moc that'll find its way to the podium for sure. way to inspire (and maybe shame! ) the rest of us! er . . . i guess i maybe should've posted my comment in the thread for this moc. whoopsy-poopsies. ok so lets find out who won this lovely little conest (we all know my superb creation"Sarcasm" won so go ahead and award me the prize "Dreaming now"
Great entries everyone. Unfortunately, some things came up yesterday and I wasn't able to finish my entry. Oh well, a great contest nonetheless. I apologize for not doing this post sooner. 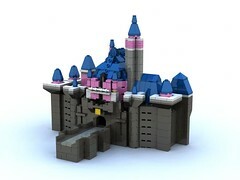 Well, that ends the Mini Castle Contest III. Thank you, to everyone that entered. I saw some truely terrific creations. The contest is now offically closed (in truth it closed almost a day ago, but lets ignore that). I will try to get the winners chosen ASAP, but don't expect anything immediatly. There is a chance, a chance mind you, that I will do it this weekend. Stay tuned. Amazingly, my prediction came true, I managed to get the winners decided this weekend. Drumroll please. And First place goes to: JediMasterWagner! Honourable mentions go to Darkspawn and Snicker. A huge congrats to all who entered. This was (I believe) the best year so far for the MCC. I saw some truely unique and interesting creations. Well done everyone. I hope that you all will enter next year. Again congrats! P.S. Winners, I will contact you shortly about your prizes. Congratulations to all of the winners/honourable mentions. Your creations were truly inspiring. Thanks to Robin Hood for once again running an excellent contest. Congratulations! 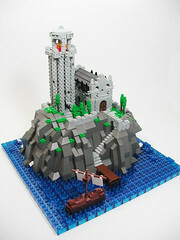 Very nice micro creations thanks for running this great contest Robin Hood! Well, thank you SO much for this awesome contest! Thank you! Congrats to second and first and honorable mentions; you guys created amazing things. I feel compelled to offer a public compliment to my brother for the edification of the masses (not something I do often, let me assure you): but the speedy judging of the entries is quite impressive. True, the entries are fewer (and smaller ) than in bigger contests like the CCC, but to get them done in half a week after the contest closes is remarkable--not a single query about when the winner will be known. Formendacil wrote: I feel compelled to offer a public compliment to my brother for the edification of the masses (not something I do often, let me assure you): but the speedy judging of the entries is quite impressive. True, the entries are fewer (and smaller ) than in bigger contests like the CCC, but to get them done in half a week after the contest closes is remarkable--not a single query about when the winner will be known. Well, this is unusual. I do not often get such public compliments from my brother. To everyone: It was my great pleasure to host this contest and I look foward to hosting many more. and you thought your MOC was lousy like i said the fact you tried whether it be lousy or not is more then some others can say.